In Denmark, we used to have an Urban Decay stand in our Sephora based in Copenhagen. Unfortunately for some reason it was closed around a year ago, if not more. Since then, Denmark has been in need of an Urban Decay stand, obviously because they have such beautiful and vibrant products! 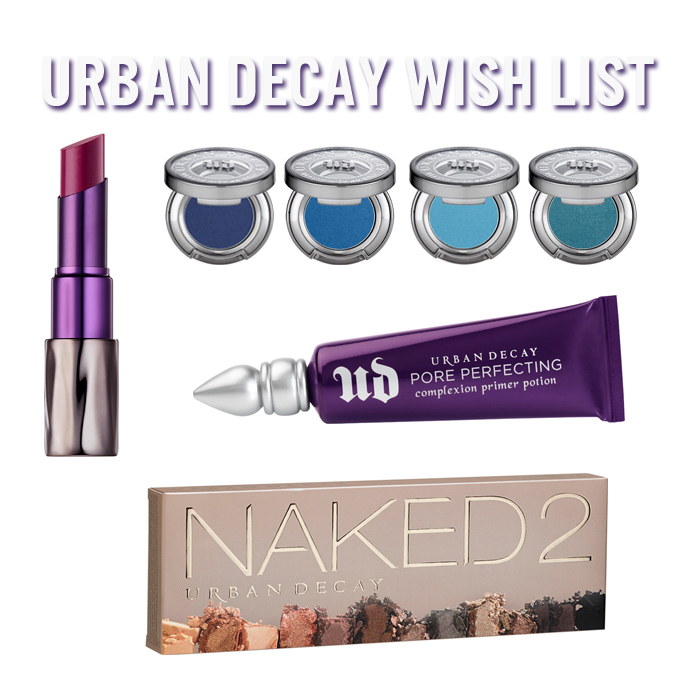 Luckily for us Danes, Urban Decay re-opened in our large shopping centre, Magasin, in the middle of November! Therefore I have made a little wishlist of some of the products I would love to try out, since I actually don't own a single UB product. If you are from Denmark I would recommend that you go and check out their stand, it's so beautiful and even though it is tiny, they have quite a lot of products on display for you all. Do you have any UB products? Which are you favorite?